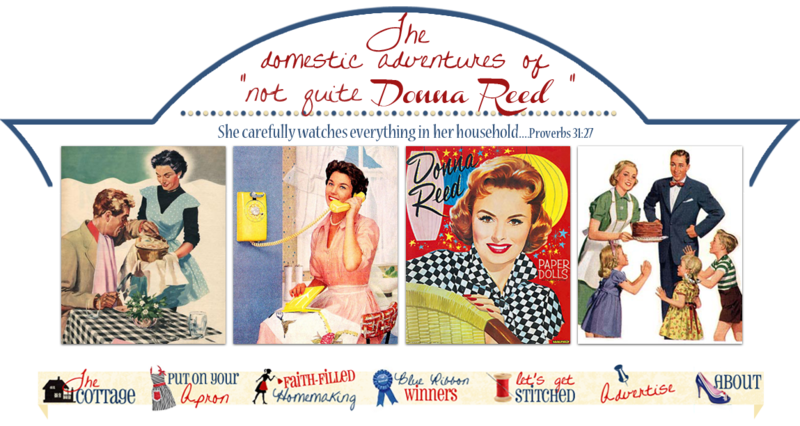 Not Quite Donna Reed: It's National Apron Day! Sorry gals, but no stitching today! Last week was just crazy busy. I didn't stitch a thing, not one dang thing. 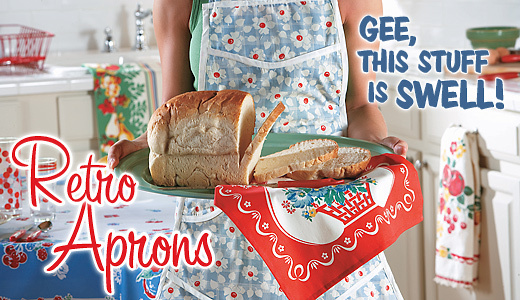 So, did you know today is National Apron Day? Yes, a day devoted to the beloved apron, a homemakers suit of armor. Do you wear an apron? I do. Every morning I put a pretty apron on to go about my duties. Is that apron in the above pic adorable or what! There are more aprons at the site Ruby's Farmhouse which are not only darling , but affordable. And there is more retro homemaking goodies there too. Anyway, in lieu of a stitching post I am just going to jot down my homemaking duties I accomplished today. Personal and not. Bought new planner and Martha Stewart office supplies to get me on track! Well, friends, what little bits of domesticity did you accomplish today?